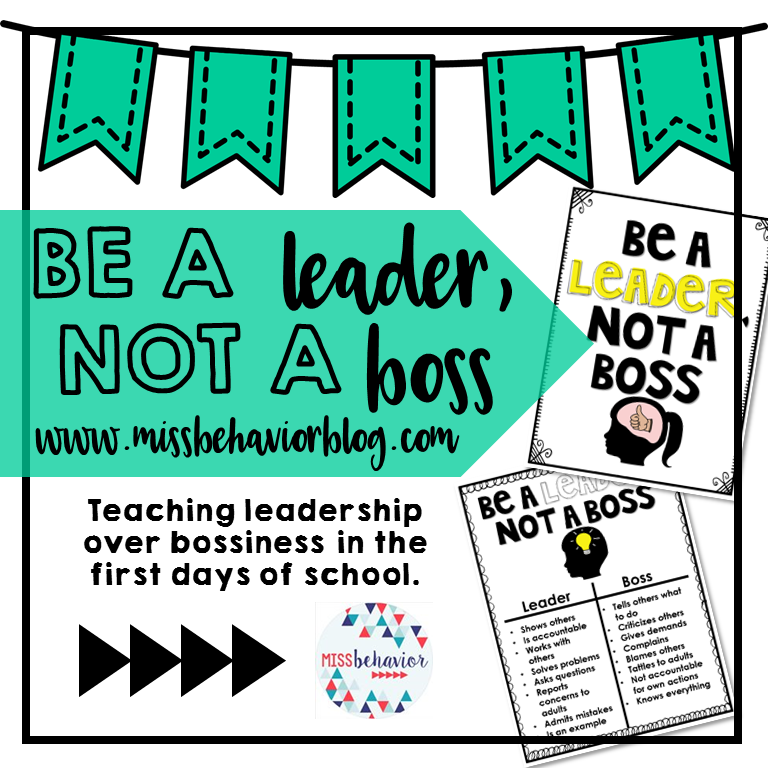 I first discovered the language of "Leader vs. Boss" when looking up social skills concepts on the topic of bossiness. I found TONS of articles related to the business world on how corporate psychologists work with CEOs and business owners to help foster their skills so they are seen as a LEADER and not a boss. I mean honestly, it makes a difference. In my classroom I have a crowd of BOSSES. Last school year it drove me CRAZY. The kiddos that had leadership skills were constantly telling their peers what to do or how to behave, rather then being examples of positive behavior. I am so excited to introduce this concept on the FIRST DAY OF SCHOOL. Why the first day? Like I said, this behavior drove me crazy last year. Absolutely nuts. Plus, I am certain that many instances of bossiness created space for problem behaviors to manifest. So really, this needs to be tackled right away. I am ready to teach this skill immediately so we can confidently refer to anchor charts throughout the year to help shape behaviors and remind each student about the expectation of leadership.